The popular unofficial Google Maps app for Windows Phone has been updated to version 2.1. gMaps has been available on the platform for some time and it's good to see more updates published by the developer. gMaps (both the free and pro version) were previously bumped to version 2.0, adding Windows Phone 8 support. So what's new in this latest release? Street View has been refreshed and a number of improvements have been implemented. Major features also affected include Latitude and Driver Mode. Currently, Street View has a rather limited ability to browse views and doesn't sport an optimised rendering engine. This has been fixed in version 2.1 and users can now enjoy a full 360-degree panoramic view of supported locations. The option to enable high quality tiles is also present. It's noted that this version of Street View is already available on gMaps for Windows 8. The second improvement covers Drive Mode. Numerous fixes have been applied that address the clipped route / objects and map rotation issues. The centre of rotation has been moved to the bottom of the display, offering a better view for the user with more of the map rendered in the distance. Lastly, the ability to activate and deactivate the mode by tapping on the location has returned. The final change is Google Latitude. 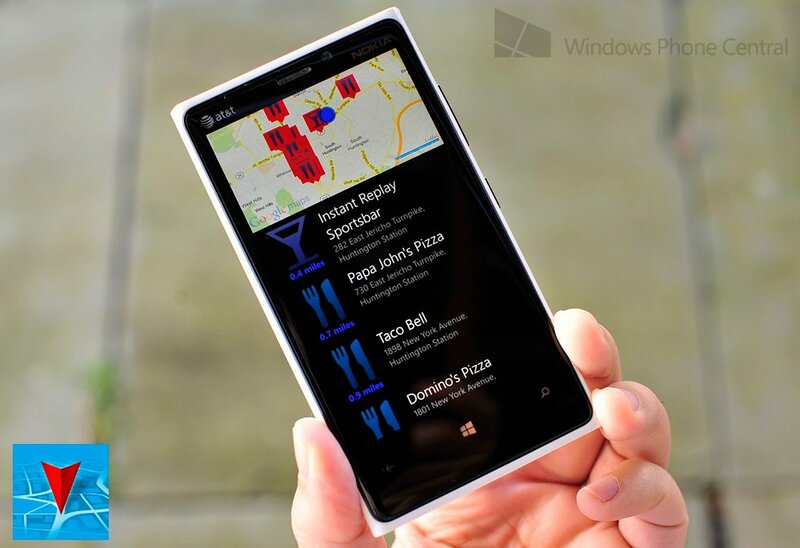 The developer has managed to optimise the connection within gMaps to reduce the amount of data transmitted and received by the Windows Phone. Some of the processing, etc. has been moved to the backend. You can download gMaps and gMaps Pro ($2.49 - right QR code) from the Windows Phone Store (both Windows Phone 7.x and 8 are supported - free version is ad-supported). The full details of this update for Windows Phone has also been published on the DreamTeam Mobile team blog. The team urges users to add their suggestions for future releases. Thanks to everyone who tipped us!